Ok, I give up! You win! 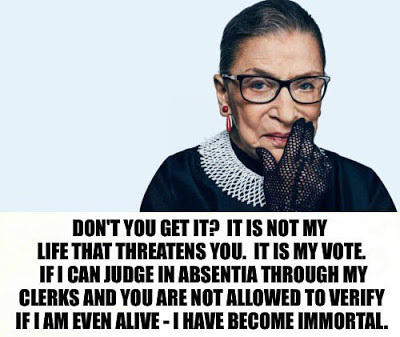 Ruth Bader Ginsberg, the world champion at hide and seek! Seriously, I think we're going to need proof of life. 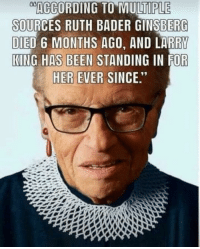 Nobody has seen Ginsburg, no photos of her "working" from home, nothing. Just some snippet about a phone conversation with the people from RGB movie. 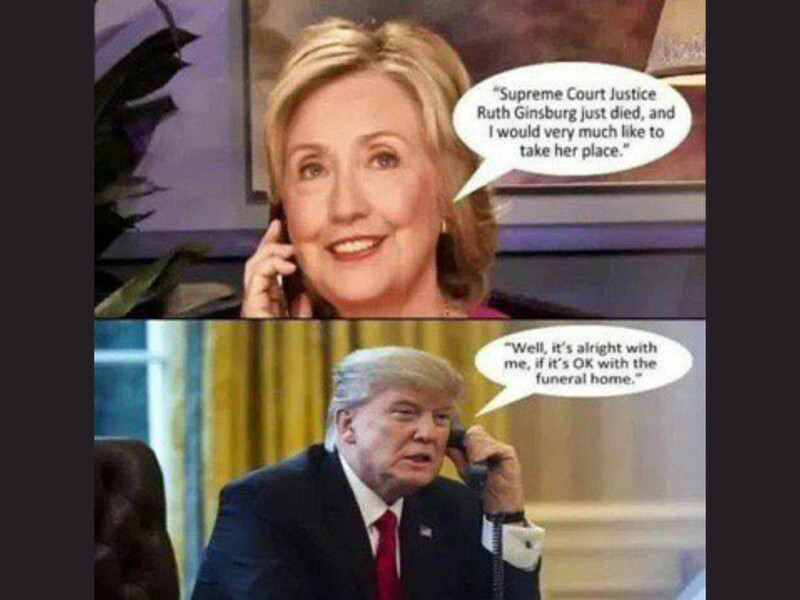 There's rumors all over the place and the most common one seems to be that she's in a medically induced coma waiting for the 2020 election of a democrat to replace her. Is the Left recruiting a double to appear as her for next week's SOTU? I think Lily Tomlin is still alive. One ringa dinga, two ringa dinga. Yet another week goes by with no sightings.... amazing!